When Mabeco Tours was founded, in August 2015, we became partners with Anvil Bay (Companhia de Turismo de Chemucane). This partnership happened very naturally, has we were one of the only registered and licensed operators going to Maputo Special Reserve for wildlife observation. When we first visited the location, Mr. Paul Bell received us with great enthusiasm and passion. 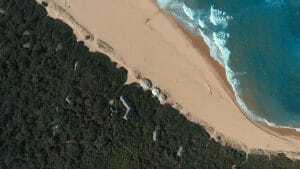 His connection with Ponta Chemucane area, comes from many years ago, when he used to come to Mozambique for holidays with his family. We saw the early stages of the construction and from the beginning we were mesmerized by the concept and the idea of the project. Mabeco Tours: Can you briefly explain us a bit of the story behind the creation of CTC (Companhia de Turismo de Chemucane)? Ricky and Paul: One of the solutions to saving the worlds dwindling areas of wilderness relies on creating sustainable enterprise where local communities and national parks coexist. 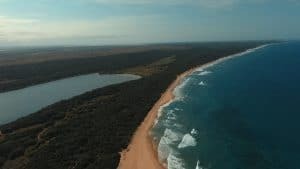 The Mozambique Government’s landmark decision to grant the Chemucane Community an ecotourism concession in the Maputo Special Reserve has resulted in such an opportunity. The Chemucane Tourism Company – CTC is a joint venture formed between the Chemucane community and the Bell Foundation, a philanthropic trust established for the benefit of the local community. With funding from the World Bank and the Bell and Ford Foundations. Mabeco Tours: What impact is created in these Communities? Ricky and Paul: CTC which has built and operates Anvil Bay beach camp, has already created great benefit for the community in terms of skills transfer, construction and hospitality jobs and the purchase of local materials, produce and services. In an area with little previous economic opportunity a sustainable enterprise now exists. All benefits from your holiday at Anvil Bay accrue to the community while concession fees go to support conservation efforts in the park making Anvil Bay the perfect responsible tourist destination. Mabeco Tours: What is your favorite thing about Anvil Bay? Ricky and Paul: Its natural beauty, low impact on the environment, an all year agenda where there is always something exciting happening – be it the turtle visits, whale or dolphin watching from the beach, exciting snorkeling – always something to do. Mabeco Tours: What makes you different from other lodges in the Southern area of Maputo? Ricky and Paul: Anvil Bay is the only true bush and beach destination, luxury adventure for the nature lover. 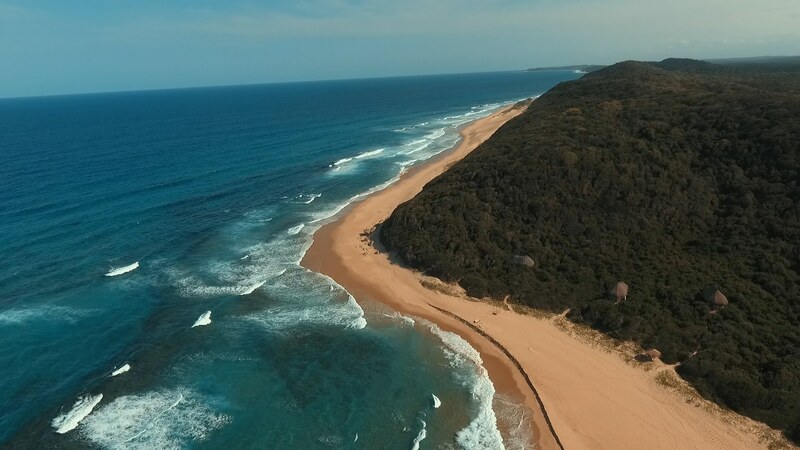 Anvil Bay is a rare destination that combines an untouched beach with a true wilderness bush environment. A Safari to the beach best describes the experience. Anvil Bay has always welcomed Mabeco Tours with great kindness and professionalism. The location is unique and it is a perfect combination of Bush & Beach Experience. Delicious meals will be served in a stylish and classy beach restaurant. Great company, laughs and an amazing experience is the minimum you can expect when visiting Anvil Bay. If you desire to visit this wonderful and unique place, you can book an adventure transfer with Mabeco Tours: you will be comfortably transferred to the lodge while enjoying sightings of wildlife has we cross along the Maputo Special Reserve.